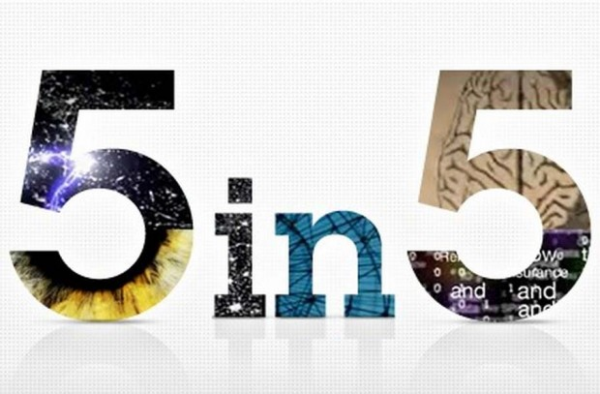 Each year, IBM predicts the next five technologies that will likely change the way we work, play and live in the next five years, otherwise known as “The Next 5 in 5.” Following this concept, CRM analyst Lauren Carlson decided to conduct a similar study, wondering where CRM will be five years from now. In order to gain insightful information, Carlson reached out to some leaders of the CRM field, including members from Constellation Research, CRM Essentials, ThinkJar LLC, Beagle Research Group LLC, The 56 Group LLC and Altimeter Group. As we all know, in today’s business world there are more and more competitors entering markets. Therefore, it is important to remain ahead of the competition, and the major way to do so is by winning over customers. One of the major aspects of CRM is that it tracks information about potential, current and even past clients. With CRM software, one is able to track company and employee information, financial data, manage contacts and scheduling, to name a few. Fortunately, with an addition of context services, there is even more information that one is able to track about another company. Context services derive information from social media, location-based services and mobile devices, such as Facebook, Twitter, LinkedIn, Foursquare, etc. This will result in an even richer customer profile as such additional context allows one to track the information that others are providing, in regards to their location, relationships, behavior, etc. Having such services leads to promotion opportunities for companies as one is able to view interactions and behaviors of customers they wish to track. Ray Wang, Principal Analyst & CEO at Constellation Research predicts that within the next five years we will see major growth in context services and the data they provide thanks to mobile devices. It is predicted that by 2015, 1.8 billion people will have smart phones, with 40% of those owners choosing to use context services that track their activities. Growth is expected to double, continuing through 2017 and thus creating the mobile CRM industry. As we all know, the amount of customer data is exploding, which means that companies are going to try to integrate it into their marketing campaigns and other customer-facing processes. In order to do this, however, firms will need systems that are able to process such amounts of customer data, making actionable recommendations. Esteban Kolsky, Principal & Founder of ThinkJar LLC believes that we need to build the infrastructure to make sure there is value in the technology. It is predicted that within the next 5 years, more powerful mobile and Cloud based computing applications will become available. It is also predicted that we will see in-memory technologies that will be able to deliver faster information processing capabilities, so that real-time customer intelligence will become a reality. Although it may not seem true, the popularity of television hasn’t yet declined considering several popular social media and marketing channels. 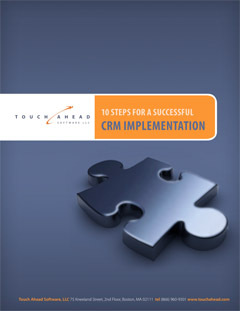 It is predicted that within the next five years, CRM integration with television will be developed. Brent Leary, owner at CRM Essentials, predicts that the TV will be added to the mix of channels used to engage customers. He predicts that companies will expand to improve the customer experience, such as by interacting with customers through Internet-connected TVs. CRM software vendors will create technology to enable this, allowing users to engage with customers through a television while managing and tracking the success of the interactions. Recently, companies have attempted to scale back travel budgets and thus have turned to applications such as WebEx, Skype and other video conferencing means. It is predicted that within the next five years, this trend will continue with the growth of unified communications (UC), the integration of multichannel capabilities with location services and social media tools. For example, although customers today interact with service agents over the phone or by e-mail, within the next five years it is predicted that they will be able to jump into a fully-interactive virtual meeting with multiple service agents instead, or even with other customers. As one can see, there are interesting opportunities for UC in CRM processes. Last but certainly not least, it is predicted that in the next five years, we will see gaming become an essential business strategy. Thus far, gamification has been used as a marketing tool; however Brian Solis, Principal at Altimeter Group, states that it is going to extend beyond marketing to improve loyalty through integrated social rewards programs for example. Such data from these games will provide companies with more insight into consumer behavior. All in all, there are many changes that are predicted to take place within the next five years that will significantly change CRM as we know of it today. This entry was posted in Blog and tagged Benefits of Mobile CRM, crm improvements, Private Equity CRM, Venture Capital CRM. Bookmark the permalink.